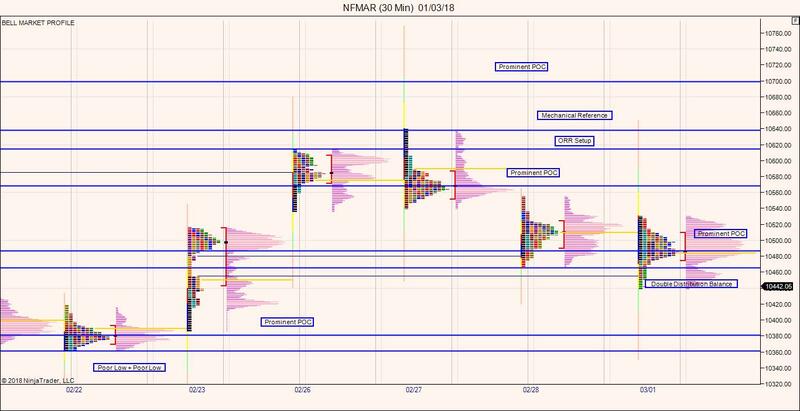 Nifty Futures is currently balancing on Monthly, Weekly and Daily timeframe however this balancing could not be continued for a very longer period. Indian markets are showing relatively calm volatility compared to the global markets. Volatility had shooted up massively in global markets in the last three trading session. Here is the volatility India VIX compared with Global Markets. Nifty Futures largely balancing (consolidating) between 10427 and 10627 on the daily timeframe. Everytime price approaches the balance short term players are taking control to move the price towards the otherside of the balance. However long term money participation is largely missing from the markets as the price balances in most of the timeframes(Daily,Weekly,Monthly). However on the daily timeframe, current down swing lacks excess with potential formations of stop clusters below 10345 levels and 10120 levels. Most likely those stop clusters are something to do with higher timeframe players (long term and intermediate). Any price action below this level could drive large liquidity on the sell side. Thursdays trading session opened inside the range and turned out to be open auction inside the range. Dullness continues in the first half of trading session as the trading session is continuously dominated by the intraday sellers and intraday buyers.First half of the trading session largely remains with lower confidence trading environment. Value was overlapping relative to Wednesdays trading session. Sell-off triggered in the last 30min and the price closed at days low with double distribution balance formation on the profile charts. Both Indicator Sentiment and Profile Sentiment continues to hold negative on the Daily timeframe. 8)Weekly Gap at 10724(upper side). 1)Global Markets selloff triggers panic selling in Indian Markets triggers the liquidity zone by breaking stop clusters below 10345 levels and 10120 levels there by providing buying opportunity for higher time-frame buyers (Longterm, Intermediate Buyers) as the Short Term Inventory is getting short to too short any such panic reactions could eventually result in a potential trend reversal. 2)Despite the Global Markets selloff, Indian markets open relatively calm on Monday Trading – price holds the bottom of the daily short term balance 10427 levels. In such a case expect price rotations again with the zone 10427 – 10627 levels.